The experience I had while recently writing my book was full of opportunities to reflect on the importance of the interconnectedness of humankind, and the need we have to continue the search for accurate information, and clear, truthful communication. Here is an example of my recent experience of the necessity to go beyond the obvious and the “given” to continue to search for truth. I was quite sure that a certain source I had found offered a correct translation of a specific Latin text I hoped to quote in my book, but I could not rest until I confirmed the accuracy of the translated passages. In my quest for the truth I went back to the original Latin document; then contacted 10 people whose forte was Latin and gave them a copy of the original medieval Latin text whose translation I sought. Six of the people claimed in their modesty that the passage was too difficult, but four tackled it. SURPRISE! All four agreed that the printed translation I had discovered was incorrect, and that the meaning was indeed the opposite of what that original translator had stated. I can’t help but wonder how often in our culture we accept as true the data, the reports, the statements, the quotes that are fed to us by the media and greet us from the printed page. By the time the news reaches us, has the essence of the truth been changed? Has the report been transmitted by someone who had an axe to grind or by those who sifted it through their personal emotional filter before transmitting it? I’m not advising total skepticism, but I do think that I shall be even more careful from now on to go to the source, to treasure truth even more intensely. How can we trust when there is casual transmission of facts? How can we even be sure of developing a relationship with any content (or even any person) if there is hypocrisy, double-talk, information taken out of context? Time and again my experiences have taught me to be careful to check my sources regarding any type of information. Hitler, and others before and after him, have proved that if a lie is told often enough, people start to believe it is truth. Hopefully I am continuing to learn to first seek, search, probe for truth, and thus come closer to what really is. When ten of us arrived at the Institute of Religious Formation in Chicago last August, we spent several days transitioning into our new life that we would be living for the next nine months. We were given lots of time to discover the neighborhood, learn about each other, and to find everything we needed on campus. We were even taught about the Chicago transportation system by taking a bus downtown. The director of the program reminded us several times that the reason for the extensive time we were given that first week was so that we would experience and reflect on what new candidates to our religious communities experience when they first arrive. One of those days early on we took the Myers-Briggs personality test and a few days later someone gave us our personal results and the class results, i.e. the class profile. I distinctly remember not thinking much about our class profile at the time because they were just names on a chart. For the last week or so we have begun the process of transitioning out of the IRF. The classes are winding down; we have had our last class with Kevin, the psychologist who met with us every Tuesday morning since September. We are completing our projects, both team and individual, and planning for our closing liturgy on May 14. One day last week Paul, the director of the IRF, put up on the board the chart of our Myers-Briggs class profile from the beginning of the year. Because I now know my classmates so much better I could actually go over some of the experiences we have had together and understand behavior, theirs and also mine. I have learned a great deal these past eight months from the classes, from books and articles, from my classmates and teachers, but above all in this type of program one has the opportunity to grow in self-knowledge. I will be ever grateful to Sister Michaela and my sisters for giving me this extraordinary experience. But we are not quite finished yet! We leave on May 19 for a two-week retreat in the Holy Land. My next blog will be from there. It’s coming! The warmer sun is coming. We Minnesotans get to bypass the latest forecast of snow as we move beyond the halfway mark of April -- because the April sun reports to our skin that all of nature is starting its warming season. Maybe we achieved bouts of nature bathing even when the snowdrifts were record breaking. 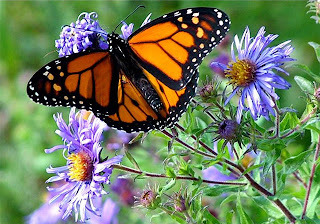 But oh, that warm sun is really beckoning us to put specific nature walks on our weekly calendar. In a recent natural health magazine, I discovered that one study found that people’s blood pressure, resting heart rate, and levels of cortisol (a stress hormone) were all significantly lower after a 15 minute nature walk compared to walking a 15 minute city block. These same reductions were found in people who spent 15 minutes just sitting in a chair in the woods. Thank you trees and plants for gobbling up our carbon dioxide and pouring out your oxygen! Even five minutes in a natural setting is enough to boost your mood. And researchers found that time spent near rivers, lakes or oceans had the most powerful emotional effects. So I resolve to walk in nature areas whenever I can. I’m also dusting off my lawn chair, pulling out my fishing gear and checking if my swim suit still fits. I figure my heart, blood pressure and cortisol levels will thank me in the weeks ahead for these simple Easter Resolutions. And may the researchers’ promise of mood shifting effects somehow ripple into an expansion of loving actions and words. You who created all the harmonies of nature, let it be so. At the point when our calendars marked the Spring Equinox, but the skies were emptying out lots of snow upon earth, I received an e-mail entitled “A Touch of Spring” with the subtitle, “We’re all ready for a bit of spring.” I love snow, but this time the irony was more than I could resist . I was delighted, opened the attachment, and found an interactive piece before me. Using the mouse, I could click as often and wherever I chose on a completely black screen. Frankly, I went a bit wild! 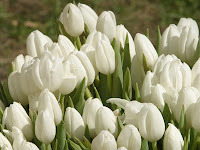 At one little click I could present to the black screen a multitude of flowers, spring flowers. In a matter of seconds I felt as if I were a creator of beauty. Soon I had a veritable flower garden! Fresh spring green leaves and stems, sky blue flowers, yellow daisies, bubble-like and graceful fronds, orange, purple, peach blossoms popped up wherever I chose to place them. Some were double-petalled, tall and proud; others bent over slightly, forming a graceful welcome to my eye. There were larger flowers, the size of a quarter and tiny ones, the size of an earring. Sometimes there were different kinds of flowers rising out of the same stem. One was in the form of a cross; all the rest shouted out “New Life” or “Resurrection” or “Come alive; yes, you too!” There were even fire-cracker blossoms. If I stayed at the same spot on the screen and clicked multiple times at that spot, I marveled at the wonderful overlapping colors, textures, and designs. Everything seemed to fit; everything was lightsome. A TOUCH of SPRING? Oh yes, for sure. . .yet there was more. For me, it was a reminder of how God must have delighted in Creation . . .and still delights in that creation. It’s no surprise, then, that God saw that it was good, that it was very good! - Our pastor recently gave a homily in which he simply asked the question “What do you think makes us hate another or take from another what is theirs? - A good friend and father of two little children was deported to Mexico last month. I was there for their good-byes. We cried, held one another and felt helpless before INS law. - I watched the movie, AVATAR, in which U.S. forces take over the sacred places of an indigenous people in an attempt to grab their prize land. In addition to starting a brutal war between the two nations, the U.S. Colonel and all his incredibly destructive machinery are utterly destroyed. 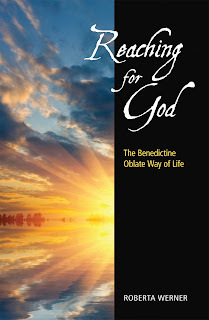 - The fourth significant experience is to have read Ronald Rolheiser’s latest book, Our One Great Act of Fidelity: Waiting for Christ in the Eucharist. How do these four happenings converge for me? I discovered that April is the month dedicated to the Eucharist, the place where, in a deeply significant way, we participants are most at home, least able to grab and always called to unity! 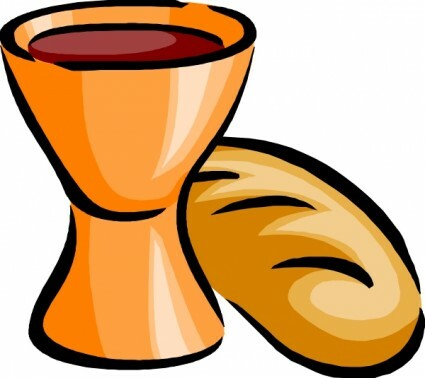 In the Eucharist, we hear the Word of God and receive the physical embrace of Christ as we give thanks, break bread and share it with one another. Rolheiser indicates that in this ritual we are completely counter-cultural! Is it not true that here, at least, we do not grab, take, separate, keep for ourselves and thus create enmity? When we gather for the Eucharist we are faithful to what Christ asks of us. . .that, while we wait for Him to come again, we receive, we give thanks, we break bread together and we share it. Let’s do that next Sunday or whenever we stand around our altars! There we can experience new life and love, even as we wait for Christ to come again!